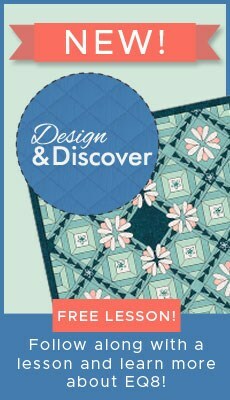 This Charming Baby Quilt was designed using EQ Mini. It uses a pack of charm squares to create an easy but adorable baby quilt. I think adding an applique or embroidered name to personalize it would make this the perfect gift for a new baby. Super easy.